Today’s airports are challenged to maintain safety, continuously share key current messaging and offer streamlined and modernised pathways for passengers. 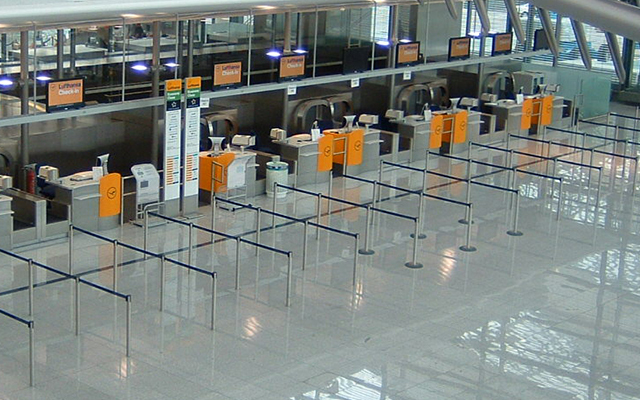 Tensator offers a range of solutions for airport operators and airlines to ensure a safe, efficient and organised travel experience for all, whilst managing airport passenger flow. 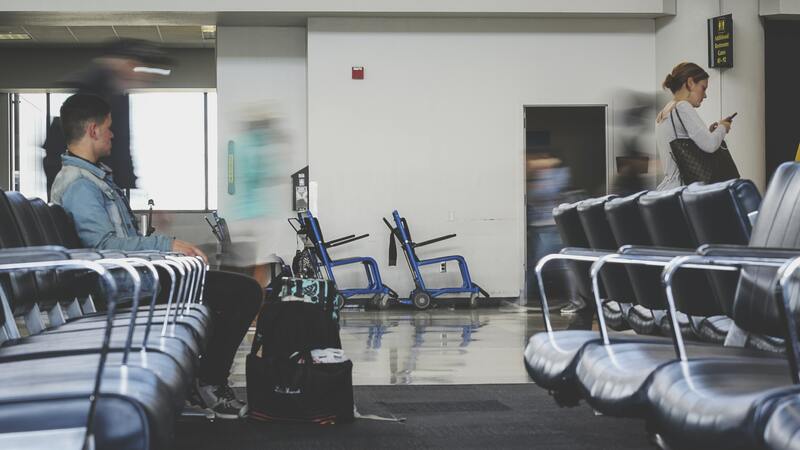 Through our work with airports and airlines globally, we understand the intricacies involved in an ever-changing airport ecosystem, which is why an initial consultation is key to offering solutions tailored to your airport or airline’s needs. 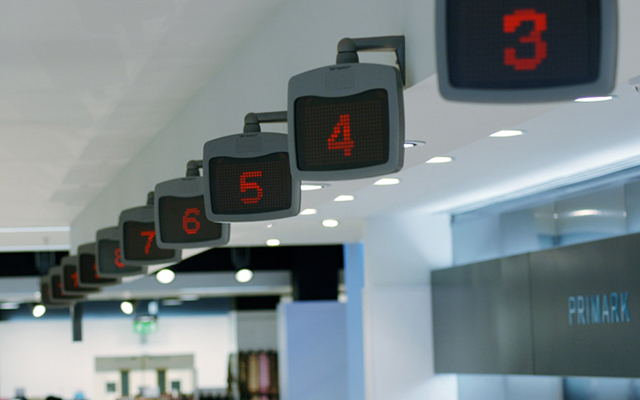 Our products can provide a solution for all zones of your airport – from check-in, security screening and departure gates to immigration and operational areas. We can protect your profits by creating efficient environments with ROI solutions and protect you passengers with regulation compliant durable products. Our ASIAD compliant TMP wall panelling can provide high impact protection to your walls which are anti-graffiti, UV resistant, and eliminate the need for kick rail products- saving staff time, creating space and improving ROI. 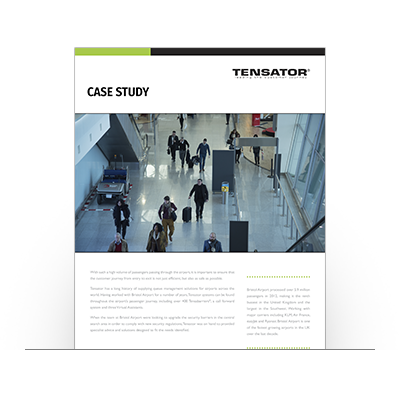 Ease airport surveillance with safe and sufficient crowd control options from Tensabarrier® to clearly guide passengers and organise aiport passenger flow within terminals. The Tensator® Virtual Assistant – a digital silhouette projected with pre-recorded media – can deliver key safety and airport messages around the clock, freeing up security agents to focus on screenings, passenger surveillance and body searches. Find out more about the solutions and benefits we can offer the airport sector to streamline passenger flow in our convenient brochure. 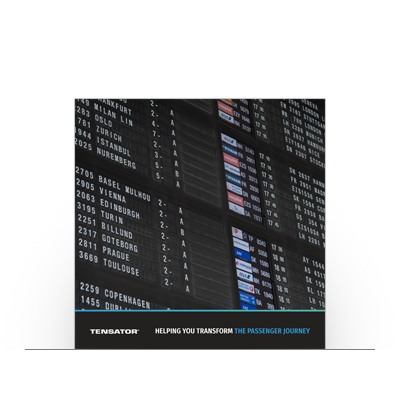 Learn more about how Tensator helped Bristol Airport with ASIAD panelling in their central search area. 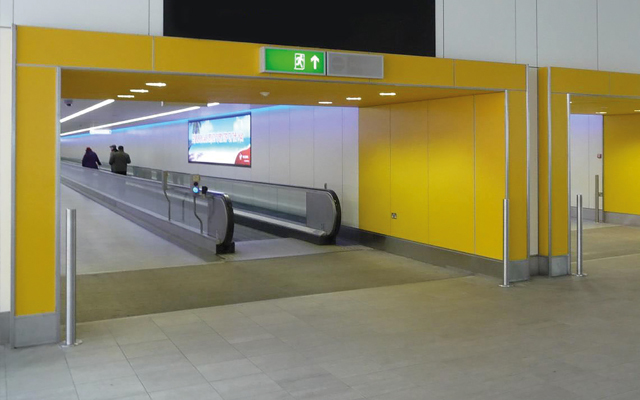 We have worked with the biggest airports and airlines in the world and have a wealth of experience with adding value to their installations. Complete the form below with your enquiry and we will be in touch. Tensator® solutions are used across the world in many different environments and for a multitude of applications. 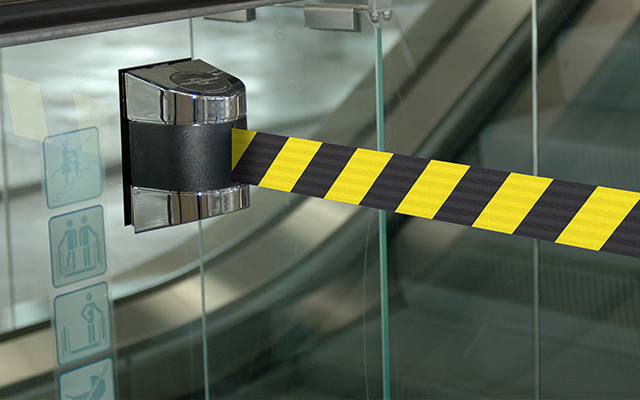 Their strength, quality and versatility means their purpose can range from a queuing system, a crowd control aid, a signage solution or an airport security barrier.